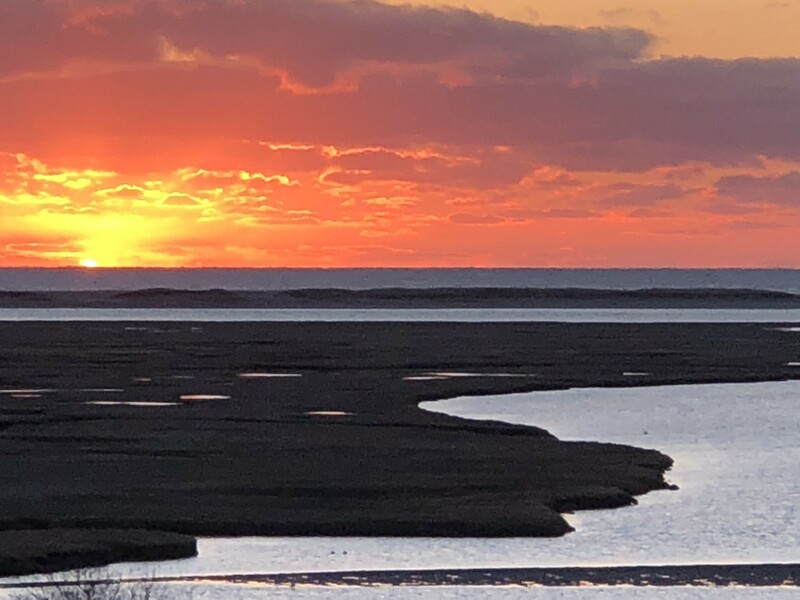 As we dig ourselves out of the latest Nor’Easter, and another expected next week, it’s difficult to think of summers on the Cape and our wonderful sunrise and sunsets. However after a relatively mild winter and with the clocks moved forward last week, warmer weather awaits. 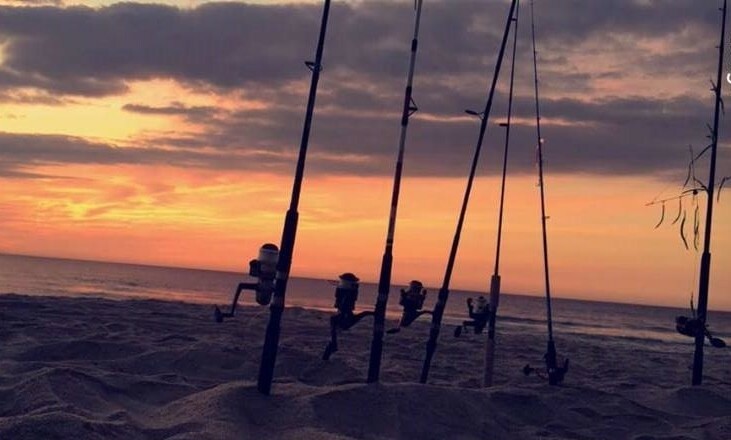 Everyone will have a different reason to come to the Cape, it could be the walking trails, bike trails, whalewatching, or seal watching, but I think most would agree, our wonderful beaches and sunsets are perhaps top of the list. Our last blog looked at some our favorite local beaches, but we’re going to take a peep at the glorious sunrises (for our early risers), bay side sunsets and perhaps take a sunset cruise on Pleasant Bay from our friends at Blue Claw Tours. Fort Hill. Unbelievable sunrise taken on a chilly February morning from Fort Hill. 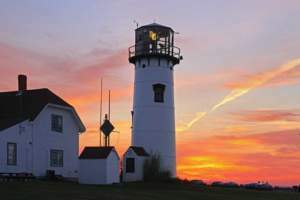 Fort Hill is just 5 minutes from the Inn and has views out over the marshes, Nauset Spit and to the left Coast Guard Light. The car park was full when I arrived at 6.30am! Nauset Beach. 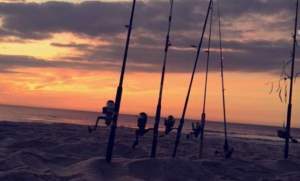 Our kids took this lovely picture, after camping out on South Beach, fishing and experiencing this lovely sun rise. Just 15 minutes away, Chatham’s landmark 19th-century Lighthouse made famous by the Disney movie “The Finest Hour” tells the true story of a rescue by the Coastguard of a ships crew in the 1950’s. 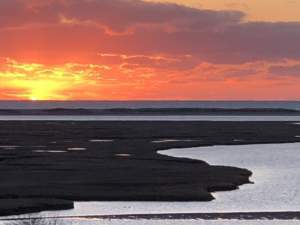 To the south, Monomoy National Wildlife Refuge provides a vast habitat for migratory birds. Enjoy glorious sun rises each morning. Rock Harbor. 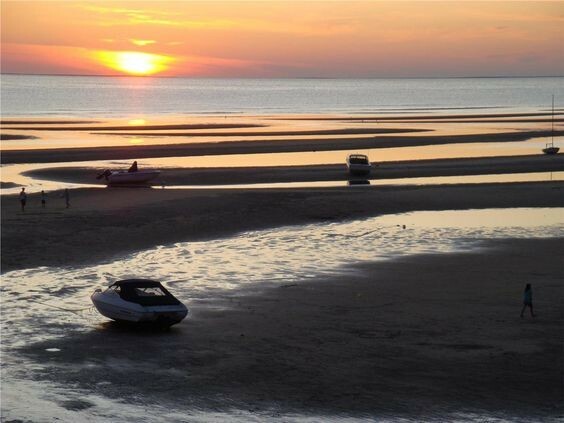 One the the favorite sunsets on the Cape has to be at Rock Harbor. 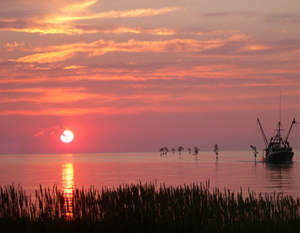 Listen to a steel band as the sun sets and watch the fishing vessels navigate to the harbor via a tree lined entrance. Take a deck chair from the Inn and a chilled bottle! 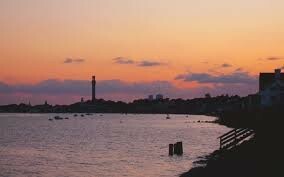 Visit Provincetown and experience its lively atmosphere, galleries, restaurants and shows. Take a whale watch trip, even better take the sunset whale watch cruise, and finish the evening with dinner at one on P’towns many fine restaurants. Pick any beach on the bay side, you wont be disappointed. We selected Kingsbury Beach a small beach in Eastham, but Boat Landing, First Encounters and a list of others in Wellfleet and Truro are lovely. 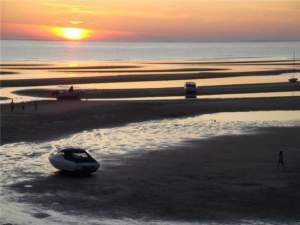 The beautiful sunsets reminds me of Kuta beach Bali and Lombok Island Indonesia.